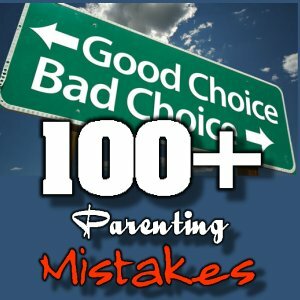 Free Parenting Tips And Advice Page! At some point in our lives, we’ve probably all chewed our nails and at some point in our lives, we learned how to use nail clippers. Studies show that approximately half of all children between the ages of 10 to 18 bite their nails, while boys are more prone to nail biting after the age of 10. For some kids, biting their nails is an oral fixation that stems from sucking their thumbs, but it is generally views as a sign of some sort of stress or anxiety they’re experiencing and in most cases, on an internal level. While the child may not outwardly admit to any stress related issues, there most likely is something that is bothering the child that he or she isn’t willing to admit to the parent. Nail biting could also be the result of boredom. There are ways to overcome nail biting, such as keeping the nails trimmed down and stress management techniques, but the issue of what’s causing the stress must be addressed. If the cause of stress is coming from a school related problem, then it’ll be a lot more difficult to detect than if it’s being cause by a family issue or concern. If the problem is school related, talk to his or her teacher. Perhaps there are some new school rules that have been implemented or there might be a person that your child isn’t getting along with. Are there any excessive demands being asked of your child? Are you spending quality time with your child? Find the time to ask your child about any potential issues during a point in time where your child is relaxed and not biting his or her nails. While overcoming nail biting your child might need something to replace that behavior, such as Silly Putty or a stress ball. Also, you might want to consider a non-verbal technique, such as touching your child on the shoulder when your child is nail biting. One last point: don’t nag your children about biting their nails. This will most likely cause them to continue to do so discreetly and may be interpreted as a form of punishment. In this situation, try to be compassionate because compassion wins every time. Try to sympathize with your child’s stress and anxiety.